What's next to the headers by the 1st bend of the pipes? Cutouts to wake up the neighbors. Now there is a nice pair of Gunas! My brother just finished his paint. Now I just need to get him to start his own thread here! They sure do look nice. 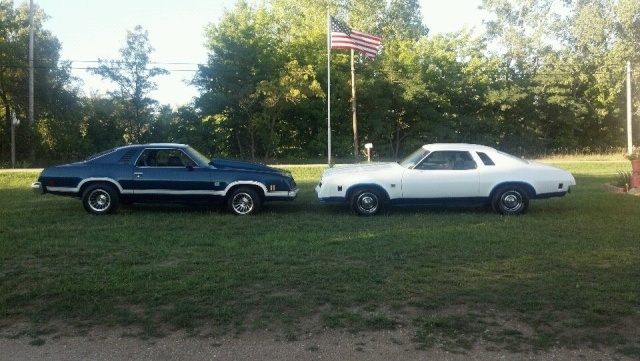 You bringing the Elco down to Dream Cruise Pila? 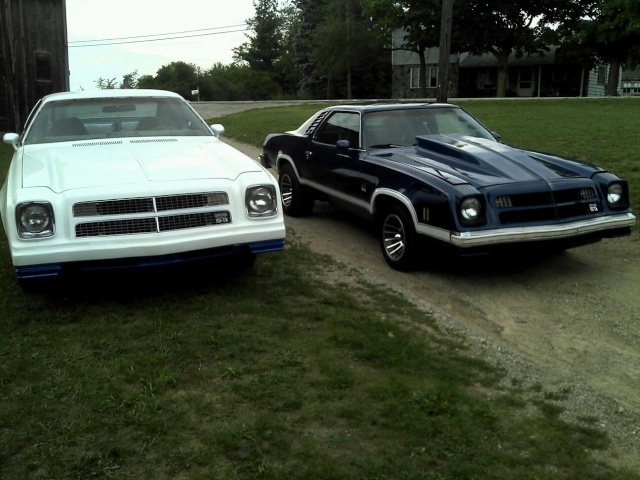 Some more Pics, Next stop DREAM CRUISE! I really like that Blue Chuck !! Looks really sweet and came together fast ! 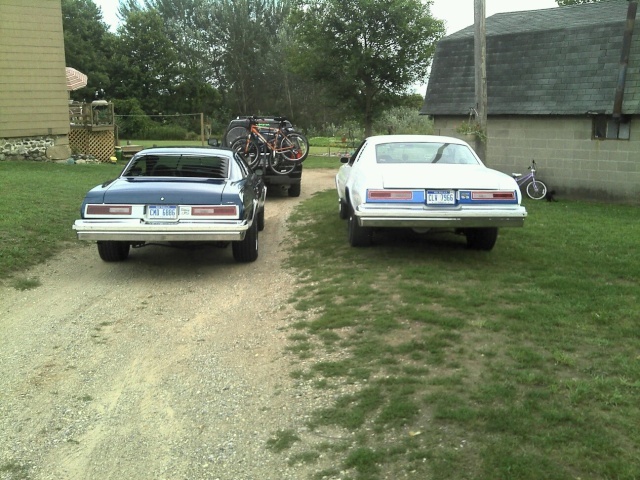 My dad and I plan on cruisng Woodward on Friday in my 74 Monte...maybe I'll see ya somewhere! From what I'm hearing from him, they have forged cranks and were tweaked up in hp a little when he bought the boat. May be selling the other motor and the vortec motor that's currently in it to offset this new winter project! If I remember correctly dual inboard boat V8's turn in opposite directions, I think it's just the camshafts that are different. Could be wrong though, but it's something to keep in mind. So put it in Reverse. Good to go. Sleddogg wrote: If I remember correctly dual inboard boat V8's turn in opposite directions, I think it's just the camshafts that are different. Could be wrong though, but it's something to keep in mind. I believe the cams gears are reversed on special built boat engines. I would see if they were built for boats (mercruisers) or if someone dropped in a regular production motor, which is common in boating too. My brother had a plain old corvette 350 motor in his 24' boat.